Marsha Fay Knight (MFA University of Utah ’83) is a Professor at the University of Wyoming where her primary responsibilities lie in the teaching of ballet, historical dance, choreography, and period movement for actors. Marsha's full-evening productions include NUTCRACKER, COPPELIA, PULCINELLA and INANNA, QUEEN OF HEAVEN AND EARTH. Her experience also includes choreography for numerous short works and musical theatre productions. Marsha’s contemporary ballet OF A MIND was selected for presentation at the Kennedy Center in May 2006, through the adjudication process of the American College Dance Festival. Academic year sabbatical 2016-2017 in NYC included extensive research at Ellis Island National Museum of Immigration, Oral History Library. From this, she substantively revised SIX SONGS FROM ELLIS, a multi-genre piece based on oral histories of immigrants who passed through Ellis Island. In its first iteration, SIX SONGS was a regional finalist, KCACTF, Reno, NV, 2010. Marsha recently received the University of Wyoming President’s Speaker Series Award for her research on this production. During her academic sabbatical in New York, Marsha served on the teaching staff at Ballet Academy East Adult Division, and as a substitute teacher at the Dance Theatre of Harlem Ballet School/Upper Division. While on sabbatical, Marsha spent a month in Moscow and St. Petersburg, observing at the Vaganova Ballet Academy, actor training at Moscow Art Theatre, and numerous dance and theatre productions. University of Wyoming awards include the UW Alumni Association's Outstanding Faculty Member Award, Ellbogen Award for Meritorious Classroom Teaching, CASE award nominee for UW, Wyoming Arts Council Performing Arts Fellowship for Choreography, and the Flittie Sabbatical. 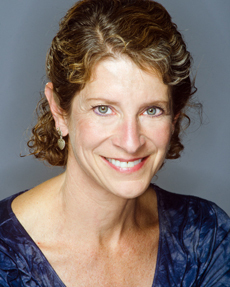 Marsha’s specialization in historical dance forms and reconstruction includes Stanford University's Baroque Dance Workshops and private instruction in NYC under the direction of Wendy Hilton (Juilliard, Stanford), and 15th and 16th century dance forms with the Historical Dance Foundation. Marsha spent spring ’03 and ‘12 semester teaching in London through the University of Wyoming’s Program for Foreign Studies, teaching as well as training in Royal Academy of Dance teaching methodology and furthering her research in Baroque dance. She recently completed her second term on the Executive Committee for the American College Dance Festival Association with previous service as Northwest Regional Director. Marsha is married to Leigh Selting, and their sons are Thomas, Nick, and Gabe.